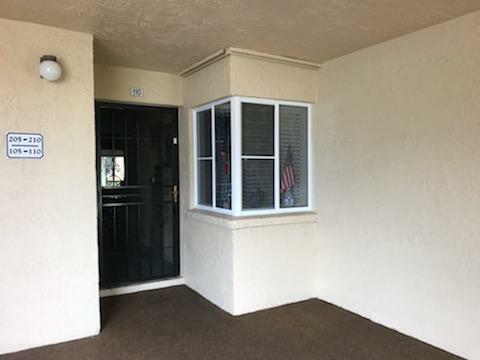 All POINCIANA GARDENS CONDO homes currently listed for sale in Lake Worth as of 04/26/2019 are shown below. You can change the search criteria at any time by pressing the 'Change Search' button below. "''All Ages Building.'' Sought after first floor 3 bedroom corner unit in Poinciana Gardens. Unit features 1137 under air sq ft, in unit washer/dryer and updated appliances. Unit is all tile, the photos reflect rugs over the tile. Water and basic cable included in the association fee. Low rise building, only two floors."